Pets in Spain - Have Pets and worried about them?! No need to be, Spain has excellent Veterinary care and fine animal hospitals and veterinary practices. For many expats looking to make a permanent home under the Spanish sun, there is one question probably as important to them as any other they may ask and that is, what is the situation in regard to taking their pets to Spain? To import an animal into Spain is nowhere as difficult as importing one into the UK but nonetheless there are procedures which must be followed. You will need to obtain from a UK or ROI veterinary surgeon, a "pet passport" showing that it has been inoculated and is free from those diseases as notified from time to time by the appropriate Spanish authority. The main concern of course is rabies, something quite rare in the UK and ROI. Once you are in possession of the necessary documentation, it is simply a matter of choosing how you wish to export your pet. If you are driving to Spain it may well be that you will wish to take your pet with you. Do remember, the time spent on the Ferry may be as long as 36 hours, depending on your destination. During this time Fido is going to spend the odd penny or two and you should check with the Ferry company as to what the facilities are for this and their current regulations for animals in transit. More information regarding the conditions of the import of pets into Spain you can find on the official website of the Ministry of Agriculture, Food and Environment. You can access this website by clicking on the adjacent logo. 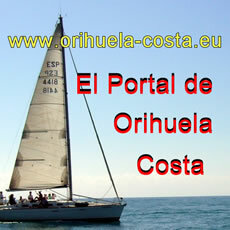 The team of www.orihuela-costa.eu can arrange all the necessary steps. Possibly, the easiest and less traumatic way to export an animal is by air. From the UK this currently costs in the region of £200. Your animal will be collected from your home or a specified location, taken to the airport and placed on the appropriate aircraft to be delivered and collected by you. Some companies will arrange for collection and delivery from the destination airport but it is usually far better for you and the animal if you undertake this duty yourself. Companies specialising in this work can be found in Yellow Pages under "Pet Transportation" but if you have any difficulties in finding one, try Skymaster in Manchester. Having got their pet safely to Spain, the next question concerns the standard of veterinary care available. Here the news is excellent. Not only are there many excellent Spanish veterinary surgeons but a significant amount of British ones as well. It is good policy to as soon as possible following your arrival, to find a vet to look after your pets. An even better policy would be to have found one prior to their arrival in case of journey problems. Either way he can give them a medical and thorough check-up and advise you of those things you need to know and be aware of. Viele Auswanderer reisen hin und wieder nach Deutschland. Sollten Sie ihr Haustier nicht immer mitnehmen wollen, dann haben Sie die Möglichkeit, die Dienste einiger Tierheime in Anspruch zu nehmen. 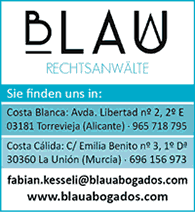 Es gibt an der Costa Blanca viele Organisationen, die sich gerade auf die vorübergehende Pflege von Hunden und Katzen spezialisiert haben. Sie können ihr Haustier dort vorübergehend abgeben und nach ihrer Rückkehr nach Spanien dort wieder abholen. Often the facilities available for animals are far better than those found in the UK or ROI. In public areas a dog must be kept on a lead and if classified as dangerous, it must be muzzled. Although your dog may be chipped, it is still advisable for it to wear a collar with an identity disk or similar device attached to it. The word Recompensa which translates to reward will greatly assist your pet being returned should it stray. If the reward is too generous, you may find Felix is being kidnapped regularly by children.